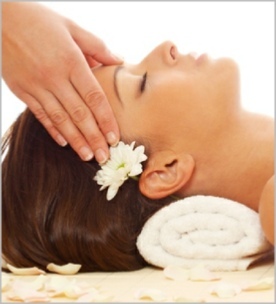 Check out our Spa Packages! If you must cancel or reschedule your appointment time, please notify us at least 24 hours prior to the scheduled appointment; otherwise you may be charged for the time set aside for you. Thank you for respecting what we love doing the most - serving you! There is a $30.00 fee for checks returned by our bank. We love children and welcome them to Déjà Vu any day of the week. The only thing we ask kindly is that while they visit they are supervised for their own safety. While you spend time in our spa area on the third floor of the building we ask that you please turn your phones to silent or vibrate so that all our guests can enjoy the serenity of quiet sounds. Thank you! Gift Certificates may be purchased for cash value only and are non-refundable. They may not be redeemed for cash or credit by any party, including the purchaser. They must be presented at the time services are rendered. We urge all card bearers to schedule their service(s) as soon as possible upon receipt, as peak periods/days may require a minimum of three weeks to schedule a particular service or package. Gift Cards cannot be replaced if lost or stolen.